How Many Hours Does a Newborn Sleep? In the beginning, newborns sleep virtually around the clock waking only to eat and demand a clean diaper (sometimes!). But how many total hours does a newborn sleep anyway? On average, newborn babies sleep 14-16 hours in a 24-hour period, broken up into numerous sleep periods. How many hours do newborns sleep during the day and at night? If your baby has day/night confusion, your baby may be awake a bit too much at night such that they are awake for 30-90 minutes at a time. If that’s the case and doesn’t resolve within 1-2 weeks, you’ll want to fix that as soon as you can. Once day/night confusion is resolved, your baby will generally sleep about 8 hours at night (with feedings throughout the night) and the rest during the day broken into numerous short-to-longer naps. Early bedtimes (along with 11-12 hours of sleep) generally don’t happen until after 3-4 months old. Why do newborns sleep so many hours a day? As you can imagine, it takes a lot of energy for a baby to grow. Their brains and bodies are growing at very rapid rates. In addition, everything is new to them, so everything they are seeing in the daytime needs to be processed by their brains. As your newborn gets a bit older, she will be able to gradually stay awake for longer and longer periods. How long can a newborn stay awake during the day? In general, newborns need to sleep very frequently. During the first few weeks, your baby may only be able to stay awake for 30 minutes (or less) at a time, for example. As your baby gets a bit older, or around 4-6 weeks old, she will be able to stay awake 1-2 hours, but any more than that and many babies will get overtired and over-stimulated. This will actually make it harder to put them to sleep and lead to worse sleep! When will newborns sleep through the night? This is the million dollar question, right? When will your baby sleep through the night? In short, many babies will do a single 5-hour stretch as early as 6-8 weeks old or as late as 4-5 months old. But, sleeping 11-12 hours without any feedings? That generally takes anywhere from 4-5 months old (for formula-fed babies) to 9-12 months old (for breastfed babies or those with reflux, in some cases). Every baby is unique, though there is a huge difference between a baby waking for age-appropriate feedings versus waking every 1-2 hours all night long for months and months on end. Looking for tips on helping your baby sleep through the night? Download our free e-Book, 5 Ways to Help Your Child Sleep Through the Night! What if your newborn baby doesn’t sleep a lot? Some babies don’t sleep non-stop in the early days like everybody said they would. Should you worry about it? Well, in general, some babies will need more sleep than others and some babies will be more alert than others. If your baby is content and growing well, you likely don’t have to worry. A baby will get what he or she needs to grow and thrive. However, if your baby isn’t sleeping a lot, having weight-gain issues, and cries a lot throughout the day, you will want to talk to your baby’s healthcare provider to rule out something medical or a feeding issue such as reflux or a lip- or tongue-tie, for example. While it could be colic or general evening fussiness, if your baby is miserable all day (and so are you, I imagine), you may want to dig deeper. You know your baby best and your intuition will likely tell you if something is really wrong. Sleep is very important for the proper growth and development of your baby. 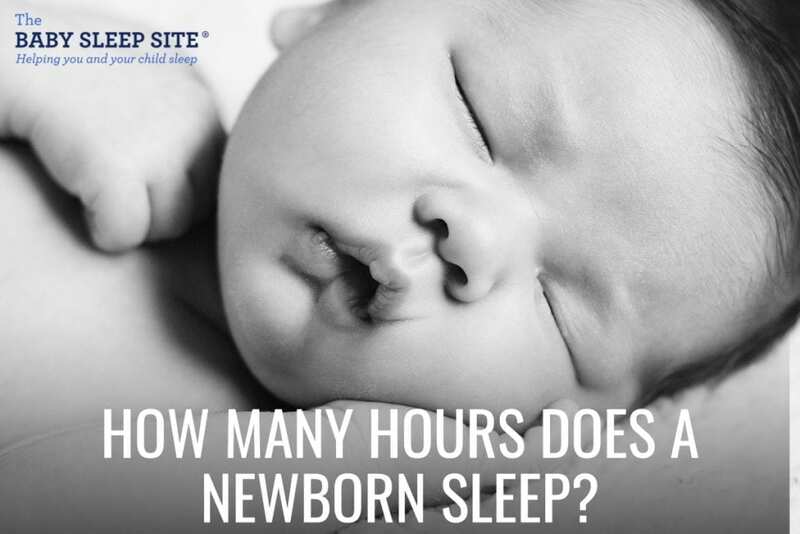 How many hours did your newborn sleep? Share in the comments below! How Much Do Newborns Sleep? The Answer May Surprise You! As I know, it wouldn’t a strange think if a new born sleep a lot in first days of life. But I used to heard question that ” Maybe any problems happens if they doesn’t sleep as much as the others ?”, I was confused to answer this question. I agree with your opinion that if baby is growing well mean she/he is healthy! @Julie – Thank you for reading and for sharing. We’re so glad you enjoyed and agree with points in the article! Good sleeping article. Few research says a newborn needs 15-18 hours sleep a day. Thank you very much.